The American Society of Addiction Medicine defines addiction to alcohol and other drugs as “A chronic, progressive, relapsing disorder characterized by compulsive use of one or more substances that results in physical, psychological, or social harm to the individual and continued use despite this harm”. In 1956 the American Medical Association deemed addiction as a primary, progressive, chronic, and fatal disease with identifiable symptoms. In the face of this evidence many people tend to believe the myths and misconceptions about addiction to alcohol and other drugs. Substance abuse is our nation’s number one health problem according to the National Institute on Drug Abuse. Alcohol continues to be at the top of the list of abused substances, followed by opiates, cocaine, marijuana, methamphetamine, and benzodiazepines, just to mention a few. The societal costs of untreated addiction are passing the $300 billion range and climbing. Some of the societal costs are illness, death, crime, medical, employment, unemployment, and other health conditions such as Hepatitis and HIV. One of the most common signs of substance abuse/dependence is continued use of alcohol and/or drugs despite the negative consequences of the use. Often, people with the disease of addiction will blame their use on other people or circumstances. They have the tendency to blame, instead of realizing that their difficulties result from continued use of the alcohol and/or drugs. They may believe that they drink normally or that “everyone” takes drugs. These false beliefs are called denial, and denial is a part of addiction. Tolerance– A person will need increasingly larger amounts to attain the same desired effect or to get high. Craving– A person will feel a strong need, desire, or urge to use alcohol and/or drugs, will use alcohol and/or drugs despite negative consequences, and will feel anxious and irritable if he/she can’t use them. Craving is a primary symptom of addiction. Loss of control– A person may use alcohol and/or other drugs more often or in greater quantities than he/she meant to use. A person may also try to reduce or stop drinking or using other drugs many times, they may be able to discontinue the use but staying stopped generally is failed. They may also feel the need to prove to themselves and others that they don’t have a problem. Persons not having a problem have nothing to prove to themselves or others. Physical dependence or withdrawal symptoms– In some cases when alcohol or other drugs use is stopped, a person may experience withdrawal symptoms from a physical need for the substance. Withdrawal symptoms differ depending on the drug, but may include nausea, sweating, shakiness, and anxiety. The person may try to relieve these symptoms by taking either more of the drug or by substituting for another drug if their drug of choice is unavailable. Discontinuing the use of alcohol or other drugs is just the beginning of the recovery process. 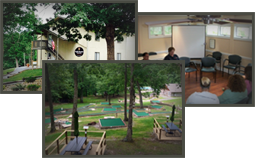 At our all-inclusive Tennessee residential facility, we help our clients learn new ways to cope with everyday life, including how to deal with stress, anger, or social situations and how to have fun without the use of alcohol or other drugs. Learning these new skills takes a lot of work and practice and we’re here to help you every step of the way. To learn more, call (877) 459-8595 or contact us online.